Between work and home, you’re probably fielding loads of emails each day. Even under the best circumstances, it’s easy for your email box to quickly get overrun with spam and other useless correspondence. At worst, you could be the target of those with a darker purpose, flooding your inbox full of malware, viruses and other phishing tactics. We all could use a good email watchdog… so turn CleanEmail loose on all your incoming messages. 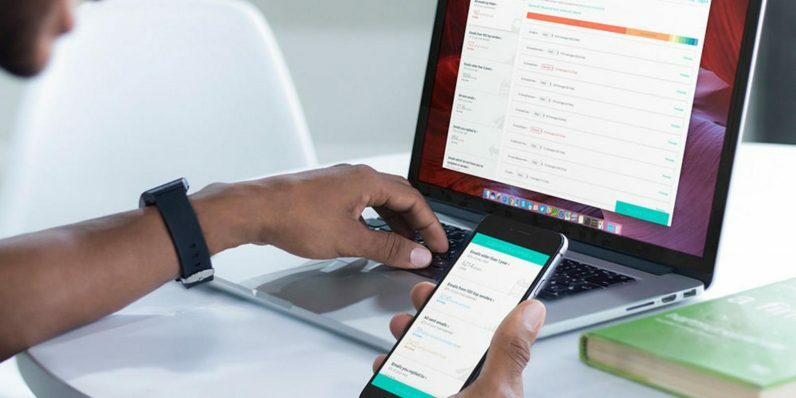 Right now, you can get lifetime access to this efficient email manager for $51 (75 percent off) from TNW Deals with coupon code: GIFTSHOP15. CleanEmail is the spam filter/email gateway any online user needs. Install CleanEmail on up to 5 separate email accounts and it starts scanning and categorizing every email you receive. Viruses and malicious code can be automatically removed or stored and any IP addresses found on DNS blacklists are flagged. You can even set up custom-tailored whitelists of trusted senders and blacklists of black hat sources to better classify all your messages. Combining different anti-spam technologies, CleanEmail all but assures you’ll be able to detect and block any unwanted emails before you even have to see them, let alone open them. As for emails you do receive, CleanEmail can instantly categorize them into your designated archive, keeping your in-box tidy while making it easier to search for and find any message you get. CleanEmail works with all major web browsers and email clients and encrypts and regularly purges its own data to make sure your sensitive information can never end up in the wrong hands. A $250 value, you can get a lifetime of CleanEmail for just $51 with coupon code: GIFTSHOP15. You can also take advantage now of shorter-term 1-year ($19.99) and 3-year ($29.99) deals.